A very good program, I only wished they showed more of the mapped out debris field. There were only two problems I saw with the program. When they tested the rivets they tested them with the stress applied along the length of the rivet, as if something were hitting the side of the hull plate. They did not test the shear strength of the rivets. This would be true of the rivets on the bottom of Titanic. But the rivets whose failure caused the most damage were on the side of the ship. Titanic ran over an underwater ice shelf on the iceberg. It did not run into the iceberg, but over the iceberg. The bottom plates were pushed up by this underwater shelf across the one inch thickness and they flexed upward. However, at the turn of the bilge (where the bottom becomes the side of the ship) the underwater ice shelf was pushing up across the six foot (two meter) width of the plates. Try this to see what I mean. Take a playing card, say the ace of spades, lay it flat on a table. Now pick the card up a thumb on each end, and while holding the card parallel with the table bend the card upward. This is how the hull plates on the bottom of Titanic flexed when it ran over the ice shelf. Now turn the card on its side so you can see the ace of spades and have someone push up on the thin edge that faces the table. It does not want to flex. 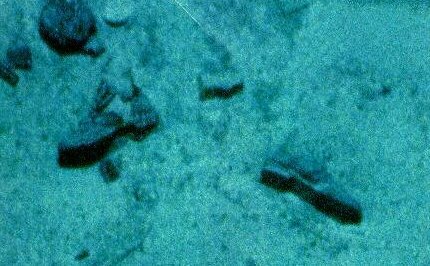 That is what happened to the hull plates on the side of Titanic as it ran over the ice shelf. With the weight of the ship being pushed upward in a small area of the hull by the ice something had to give, and that was the rivets. 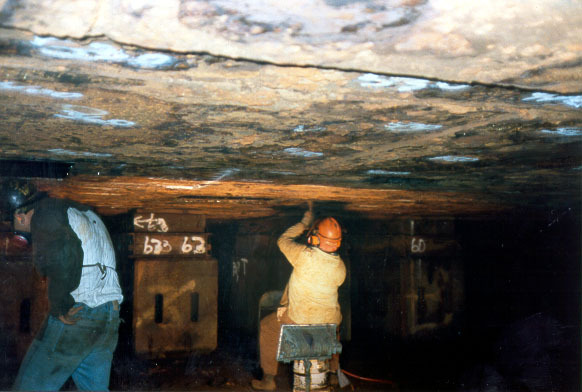 Even when ships from any era are put in dry dock they must be supported every three to four feet (or less) or the hull will fracture, permanently damaging the hull. Look at the photos below. American Queen a stern-wheel steam paddle steam ship. Note blocks evenly spaced under hull to support the ship. Photo courtesy Great American Steamboat Company. WW2 battleship Texas in drydock. 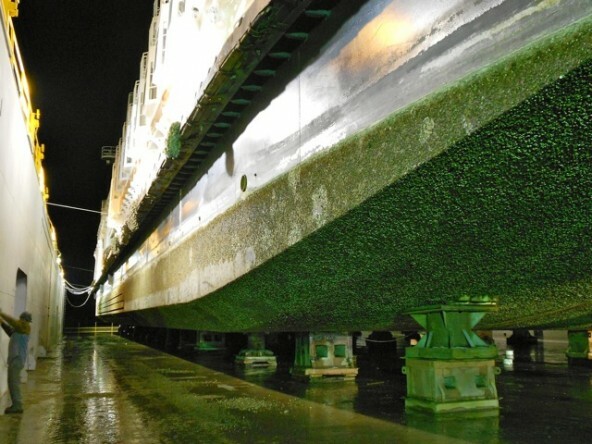 Notice the blocks every few feet to support the hull. 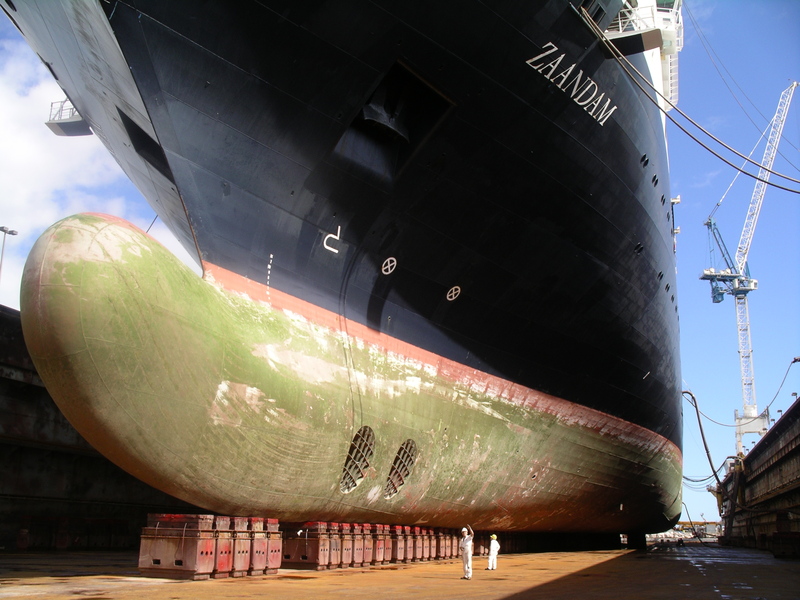 The modern Zaandam in drydock. Notice the blocks ever few feet to support the hull. 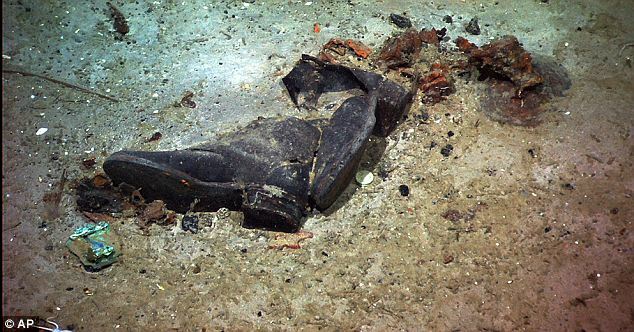 Second: They assumed that the ship broke into two separate pieces while it was on the surface. During the show they showed two things that conflict with eyewitness testimony. They showed the stern only rising a few degrees out of the water, and they showed something a lot less than 200 feet of the stern rising out of the water. 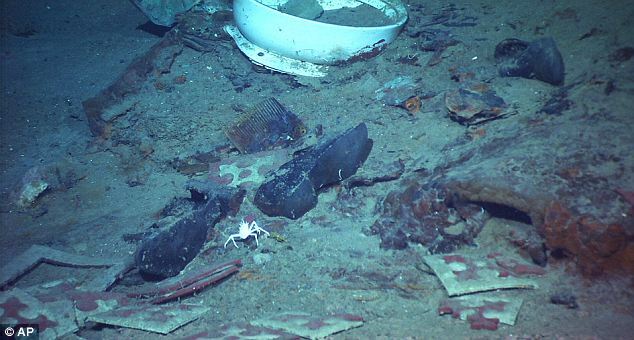 They noted the stretched steel on the broken pieces of double-bottom and correctly described this as happening when the bow was hanging on the stern. But those pieces stretched as the bow pulled the stern under. Conclusion: I hate to point out these discrepancies. 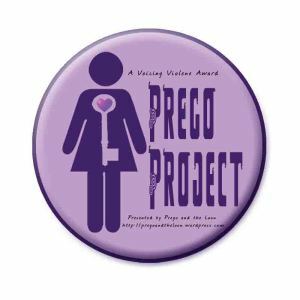 The show was outstanding as was the work of all those involved. 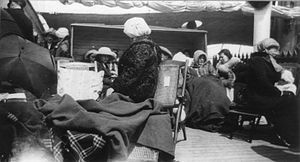 However, unless we correctly identify exactly what happened and why, we are at risk of this happening again (as I stated in my book Titanic, A Search for Answers). 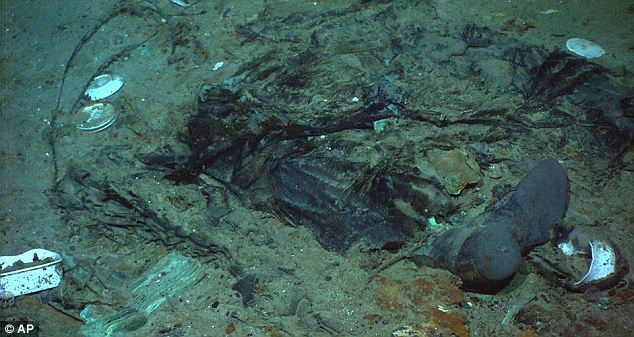 We will never get to the bottom of the Titanic disaster as long as we continue to look at the evidence searching for clues to prove our theories. We must look at the evidence AND THEN arrive at a theory. The Elusive Lady : The Discovery and Exploration of RMS Titanic. 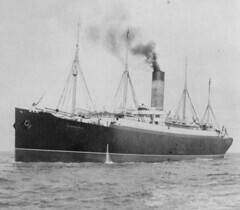 The stern begins to slide into the ocean, in one minute the Titanic will be gone, leaving more than 1,500 people to freeze to death in the cold North Atlantic waters. 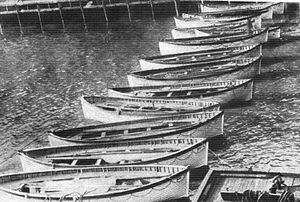 All that will be left of the Titanic will be her life boats, which the Carpathia will deliver to the pier Titanic was supposed to tie up to. 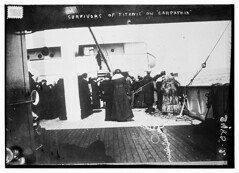 Then the Carpathia will continue to the Cunnard dock, where Titanic’s surviving passengers will leave their rescuer. We would like to thank you for sharing this sad memorial with us. 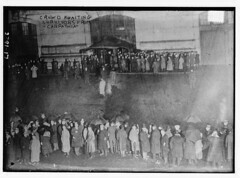 Our guest author BG Burdette will have our last post, where we will end with a memorial service, led by Dr. Robert Ballard, for those lost aboard the Titanic. Next week will be our article on Dr. Robert Ballard. The forward funnel breaks off and falls from the starboard side of the ship, crushing anyone in its path in the water. The forward funnel will be the first part of Titanic to arrive at the ocean floor. The lights on board Titanic blink once then go out forever. The brave men in Titanic’s engine room, working for 2 hours and 40 minutes to keep Titanic afloat and the lights burning for as long as possible, are now left in the dark to meet their fate in the engine room.